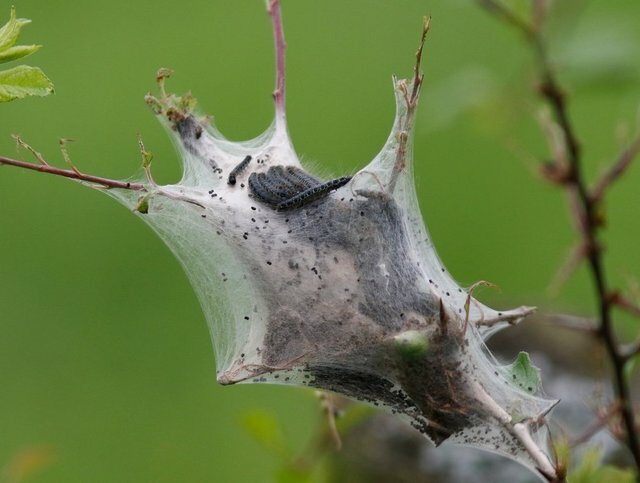 Last summer Andy Warr was searching a WWT nature reserve near the M50 on the 1st June when he came across some curious tent-like spinnings in hawthorns. 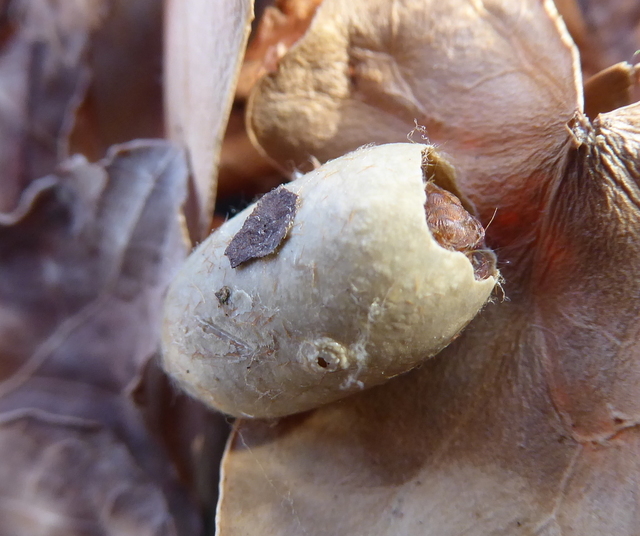 When he looked closely he could make out many quite dark Lepidoptera larvae moving about inside. Lower Smite Headquarters quickly identified images of these as Small Eggars, a moth species currently of very local status with just a handful of sites in South Worcestershire. I visited the site a few days later and noticed that the larvae were larger and more brightly coloured in two later 'instars'. 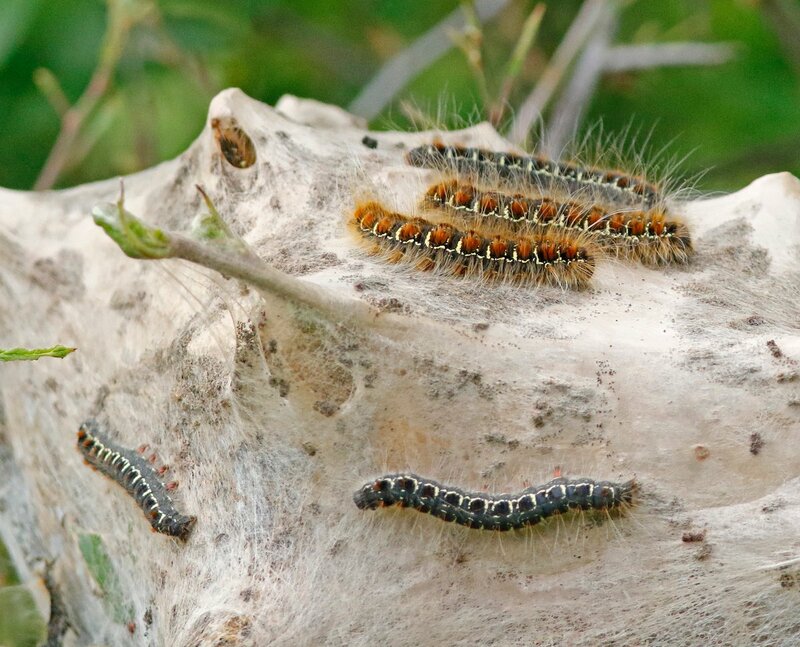 One or two of the larger more adventurous larva were even roaming about away from the tents on adjacent branches. I decided to take one with the plan of rearing it through to an adult. It was fed on blackthorn and hawthorn and surprisingly still took over 4 weeks to attain full size and pupate. This was then overwintered in an outside rabbit hutch with open grill front inside a large plastic airy container with ample blackthorn and hawthorn leaf litter base. Last week I was rewarded with a fantastic pristine adult female emerging from the pupal case on 15th March. 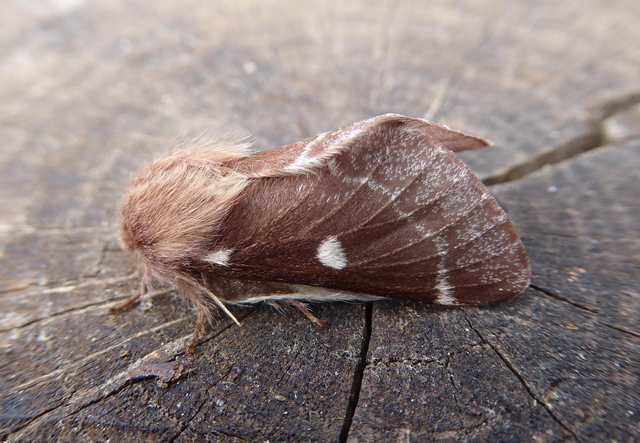 The moth was quickly transported back to the exact hedgerow that evening and photographed on a post top before being placed inside a greening-up hawthorn. After a few minutes rest the moth was then watched to fly around the inner branches of the hedge in a manor similar to a bumblebee - something that was not expected at all - most moths usually fly straight off! Nice work and post Steve.